Lewis Hamilton dominated Formula 1's first French Grand Prix in 10 years and reclaimed the championship lead after title rival Sebastian Vettel clashed with Valtteri Bottas at the first corner. Hamilton finished comfortably clear of the Red Bull of Max Verstappen to move into a 14-point lead over Vettel, who came home off the podium in fifth. That broke Vettel's front wing and gave Bottas a left-rear puncture, with both limping back to the pits to change to soft tyres - Vettel tried to carry on racing into Turns 3 and 4 and lightly tagged Romain Grosjean's Haas, although both continued. 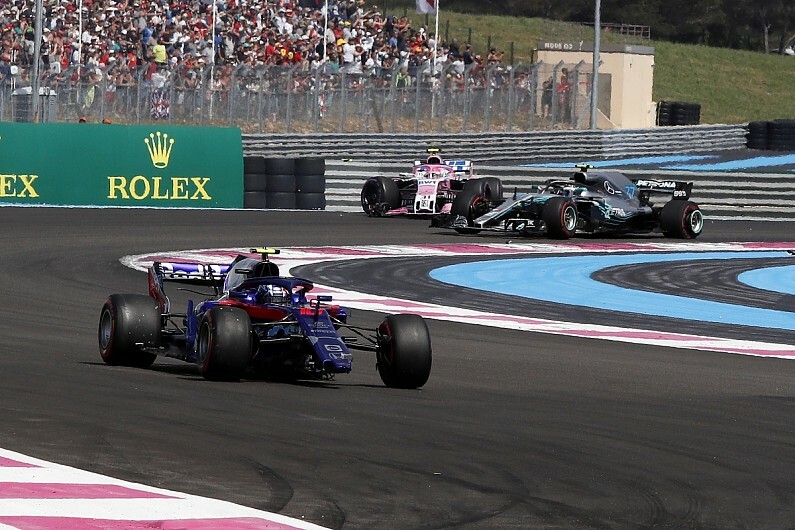 At the same corner, Pierre Gasly lost the rear of his Toro Rosso and slid into the back of Esteban Ocon's Force India, putting both drivers out of their home grand prix on lap one. That prompted a safety car, under which Hamilton led from Verstappen, who had taken to the run-off to avoid the Bottas-Vettel clash, and Renault's Carlos Sainz Jr, who swept around the outside of Daniel Ricciardo at Turn 2 when the Red Bull ran deep into the first corner. Vettel's strong pace on fresh tyres briefly put him in a podium position when Ricciardo and Raikkonen stopped around mid-distance, but with his tyres fading - and a five-second time penalty hanging over his head for the Bottas collision - he was a sitting duck. That dropped the Finn down the order but he rose back to seventh on fresh supersofts as Kevin Magnussen resisted late pressure to bag sixth for Haas. Both drivers passed Sainz in the closing stages as he slowed with a reported loss of power, although he managed to hold onto eighth, one place ahead of team-mate Nico Hulkenberg at Renault's home GP.